A Canadian bred early variety with some impressive qualities. 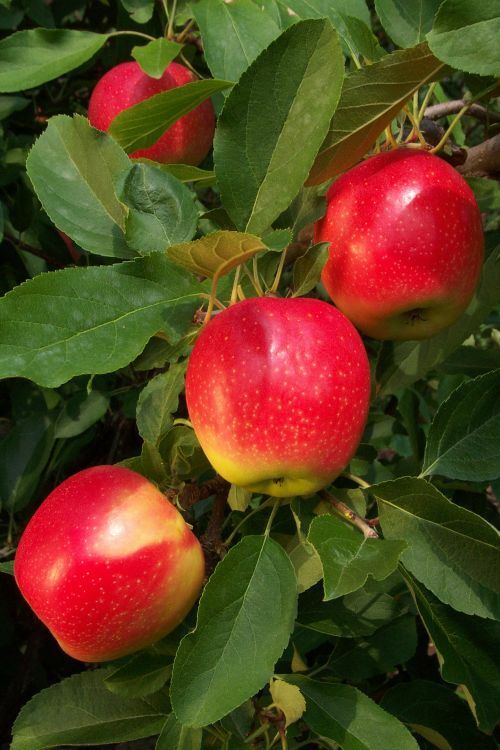 Sunrise is ready for picking during the second half of August and the fruits are of medium size and three quarters flushed red over a yellow background. They have a noticeable fruity aroma and a good clean flavour with plenty of juice. Unusually, the texture remains crisp for more than 2 weeks after picking; normally the early varieties are best eaten soon after harvest to enjoy them at their best. The blossom is easily pollinated by a wide range of other varieties and is also itself a very good pollinator. The tree is naturally quite small and compact but well furnished with short branches. There is very little fruit drop after setting and the tree yields well every year with no tendency to biennial cropping. If it has a fault it is that it is so exuberant in fruit it is sometimes necessary to thin them in order to maintain fruit size. A very good new variety of some value. Recommended. Pollinate with Lord Lambourne, Scarlet Pimpernel, Fiesta etc.